Leeds is a very popular and one of the most happening cities in England. 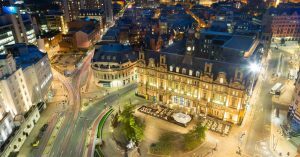 Leeds has one of the most diverse economies of all the UK’s main employment centers. So, are you planning to set up your business in this area or want to expand your business in this area? Then you must be looking for auditor in this specific area. Any business demands an accountant who can help the owner taking the financial decisions. Accounts play a vital role in any business. Based on the accounting reports, you can take your financial decision for your business. Maintaining records are comparatively easy than taking any financial decision. Leeds is the city where the competition is very high. So, you have to play smart. And that’s why our accountants are here to assist you to take your decision. Miranda Management and Accountancy Services is an accounting service provider firm. Basically we are based in London having our offices in Richmond and Uxbridge. But now we are present in Leeds too. We are offering our services to small, medium and large scale organizations irrespective of any industries. We value our clients and treat them as our priority. Each client is our priority. We are committed to deliver the quality service within the deadline. That’s why we are the most trustworthy and efficient accounting firm in London. Still if you have any doubts then don’t hesitate. Feel free to get in touch with us. Call us now and book your appointment and get a consulting service absolutely free.